As of the parliamentary elections in 2019, eligible voters can now choose between two different ways of voting: advance voting or voting by post. The Ministry for Foreign Affairs is responsible for the organisation of advance voting abroad and on board Finnish ships. Voters can cast their vote at any of the Finnish missions abroad that have been designated for the purpose by decree. On Finnish ships sailing abroad, crew members who have the right to vote are entitled to vote in advance at sea. Read more about advance voting arrangements on the website of the Ministry of Justice at www.vaalit.fi. Expatriate Finns who are entitled to vote may cast their vote by post. Eligible votes with a permanent residence in Finland may also vote by post, if they are staying abroad during the time that voting is possible in Finland, that is, on the advance voting dates and the election day. 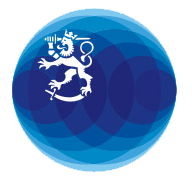 A notice of right to vote (polling card) will be sent to you to the address entered in the Finnish Population Information System. Contact the local register office to make sure that your contact details are up to date. If your address abroad has changed, notify the local register offices of this by email to [email protected]. You do not need the polling card to be able to vote. However, the polling card contains useful information, such as the electoral district where you are entitled to vote and the name and address of the central municipal election board to which you must send your postal vote. Order the postal voting pack well in advance from the Ministry of Justice. The service will open on 14 January 2019. Please read the materials carefully. You can vote once the candidates' electoral roll numbers have been published on 14 March 2019 at the earliest. Enter your vote on the ballot paper, put it into the ballot envelope and seal the envelope. You will need two impartial and qualified witnesses of age to attest that the secrecy of the ballot and electoral freedom are maintained. If you are a Finnish citizen with a permanent residence abroad, you are entitled to vote in parliamentary elections and presidential election conducted in Finland. You also have the right to vote in the elections to the European Parliament conducted in Finland if you have not been entered in the voting register for the European elections in your country of residence. The Population Register Centre sends a notice of right to vote (a polling card) to all expatriate Finns whose details have been entered in the voting register in Finland. Make sure that your contact details are up to date in the population information system.